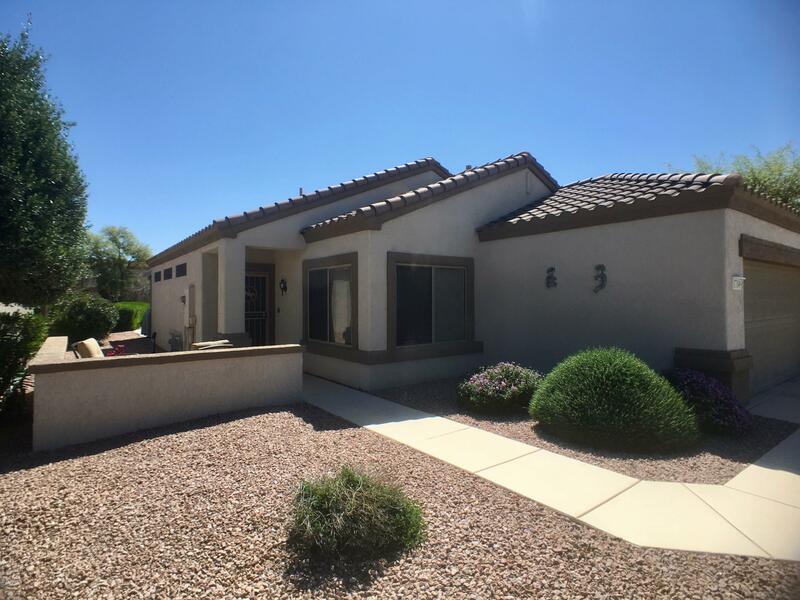 All SUN CITY GRAND QUAIL RUN homes currently listed for sale in Surprise as of 04/23/2019 are shown below. You can change the search criteria at any time by pressing the 'Change Search' button below. "Sierra Model with three car garage. Move in ready. Paid for solar. Large patio with cover and cool decking. New stainless steel kitchen appliances in 2018 - including counter depth refrigerator. Fireplace in great room. Very large master bedroom. Neutral colors. Security door on front. Age restricted community - 45/older." 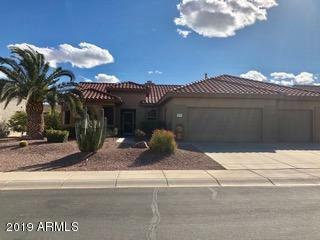 "Adorable move-in-ready, 2-Bed+Den, 2 Bath home in the spectacular community of Sun City Grand. This open concept home boasts an eat-in Kitchen with breakfast bar, glass-top range, fridge with ice/water dispenser, built-in microwave & dishwasher. The Kitchen is open to the Living Room with an Arizona wall, lots of natural light & patio door to the backyard. The Master Bedroom features a bay window, full ensuite & walk-in closet. The quiet backyard has an extended patio & backs on to public land."